Here at J&M Refrigeration, we have a comprehensive range to suit your corporate needs and requirements, whether you’re looking for a cold room, a walk in fridge or a commercial refrigerator. When it comes to choosing a commercial refrigerator, you can’t argue with the range of refrigerators we have available! They are all priced competitively and offer exceptional quality for money. 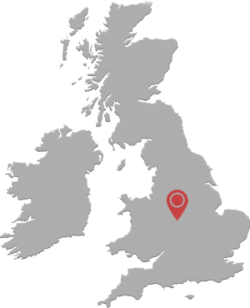 J&M Refrigeration is the leading supplier of the most efficient cold room, so if you’re looking for expert advice, get in touch with us today! A walk in fridge is extremely convenient for storing an array of products, whether it be pharmaceuticals or fresh produce. Although the capacity varies depending on the size you choose, the walk in fridge can facilitate a wide range of products- it’s especially spacious. If you need a commercial refrigerator you’ll benefit from one of our made to measure, bespoke solutions which are easy to assemble and highly innovative. Call us on 0121 544 0555 today!